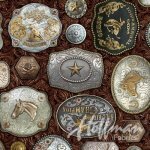 Beautiful digital print of rodeo championship belt buckles and buttons on a tooled leather-look background. 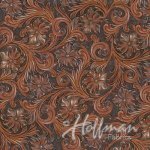 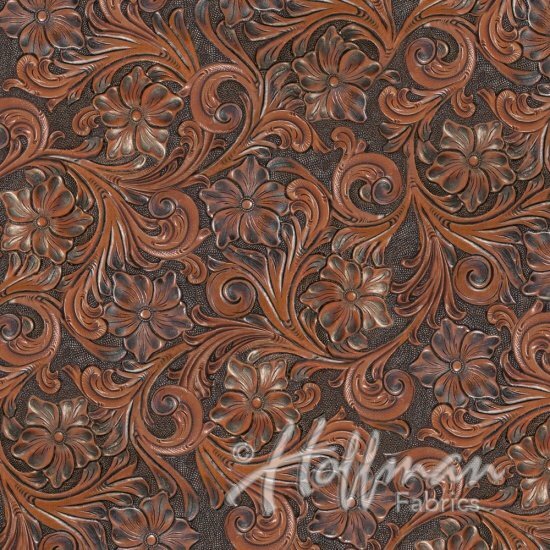 Classic tooled leather design in a beautiful digital print. 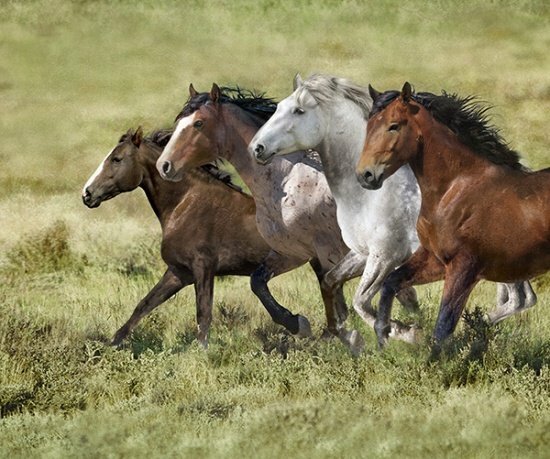 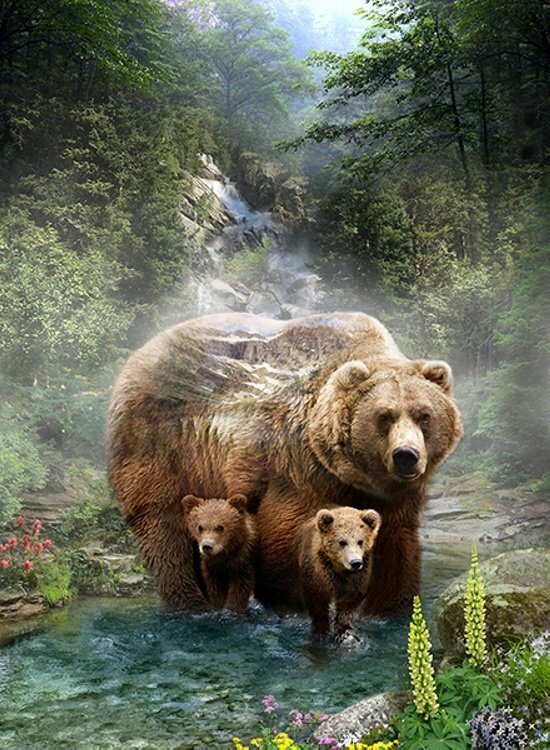 Realistic digital print of mama grizzly and cubs.